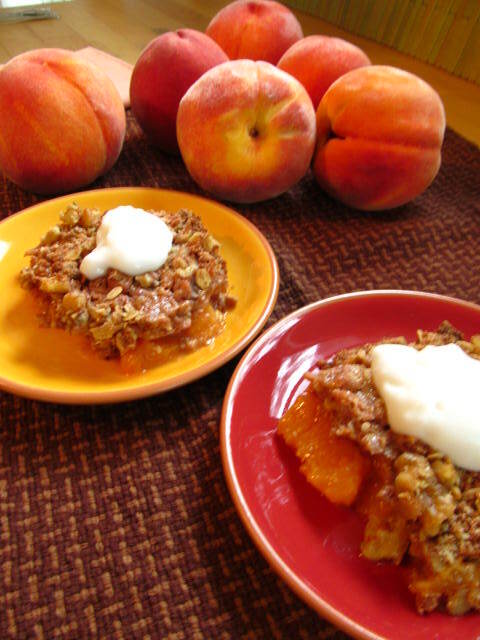 This Peachy Cobbler with Walnut Cream Recipe will be one that you know will satisfy everyone's cobbler craving! This recipe was contributed by Jen (Valencia, CA). Read more about Jen's story of raw on the Raw Chefs page. Blend ingredients in food processor with "S" blade until crumbly. Blend the rest of the peaches with cinnamon, raisins, nutmeg, lemon rind and psyllium until completely blended in food processor.